When you have a new canvas, you can spend days and weeks and months trying to decide what exactly to hang on your walls. And that’s what I’ve been doing the past 10 months. You know what no one talks about when they talk about how great an open floor plan is? That there are less nooks to hang pictures in and more long never ending blank walls to adorn. Last night I finally hung some plates I purchased at my church garage sale in August. My new dilemma is what to hang in the blank space between them because I still think it needs something. D did a pretty bang up job. Because this is in our foyer and we enter the house through the opposite end of the house, I’m not going to add wall hooks here like I’d originally planned. It’s between two coat closets so it’s not really necessary. 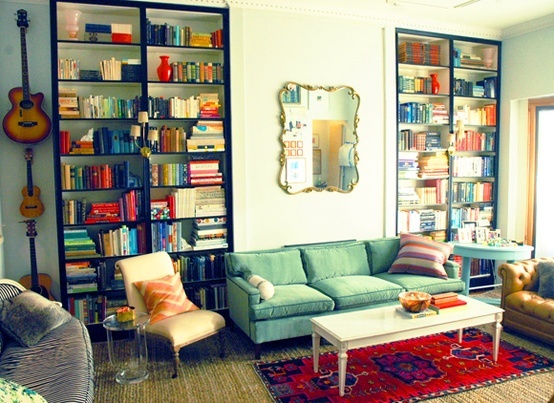 I love this idea as I love mirrors in rooms and think they make the room feel bigger. 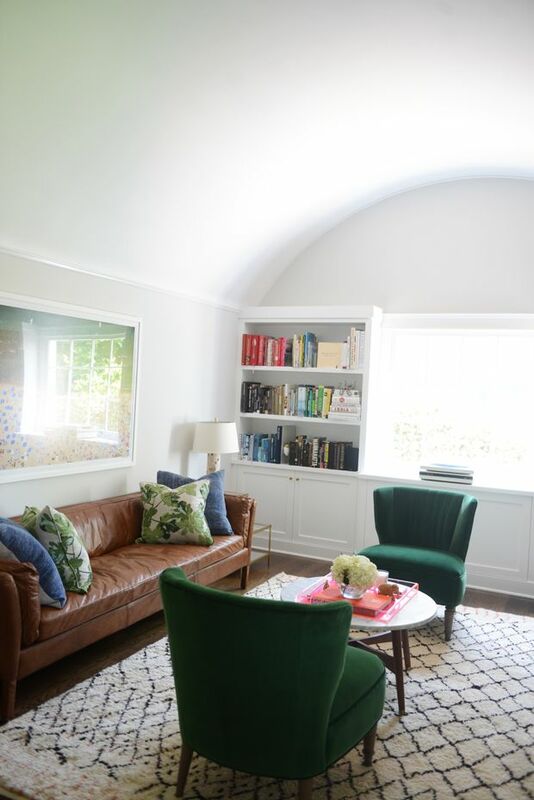 Opposite this space is a cased opening into a formal living room followed by a cased opening into a dining room which faces a mirror as well. There’s also a mirror on the same wall in the room you would enter to the right. A tray/platter – I had considered one like the one below but don’t know that it would necessarily flow with the blue willow plates or fill the 30″ x 30″ space. I joke that I know I’m getting older because I’m become infatuated with certain things each year. 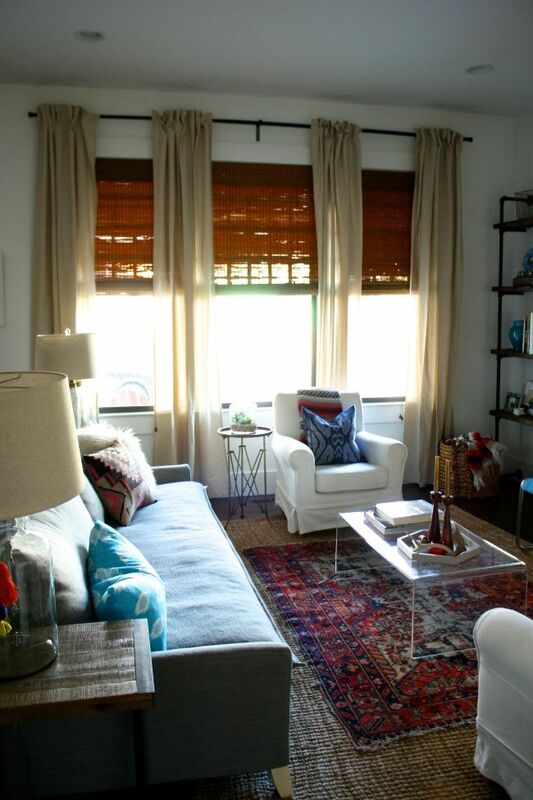 Rugs, pillow, lamps, oh my! I’ve noticed lately that it’s lighting. I love to shop for lighting. From Southeastern Salvage to Lowe’s to World Market to Amazon. On a recent trip to Lowe’s, D and I picked up this black chandelier for a dining room he’s working on. It’s simple, but for an open floor plan with a custom mantle and ornate island with lighting over it as well, it seemed like the perfect chandelier to go from eat-in breakfasts to formal dining. For a look at the mantle and island, see below. For more, check out Hometeam Renovations & Repairs on Facebook. I could almost picture Christmas in the house when I saw this picture posted by Southern Weddings. Now, who’s ready for the holidays? I know I am! crave or save, the hgtv way. I haven’t had cable in 4.5 years now and honestly, I thought I couldn’t survive without it once upon a time. Just ask my old roommate. I was completely against getting rid of cable … until I started living by myself. And I’ve been quite pleased without it ever since. I never have a hard time getting off the couch and going somewhere (unless I’m in the middle of a Friday Night Lights marathon) and I have plenty of other things to watch through Netflix, HBO GO, and Amazon Prime. That being said, I’m sure it’s no surprise to anyone that the one thing I really miss (okay, I miss Lifetime, too) is HGTV. I’m an HGTV junkie. And I’m even looking forward to staying in a hotel this weekend just so that I’ll have access to whatever is currently showing on HGTV. Even my doctor’s office had it on yesterday when I arrived. It’s like they new I was coming. Well they did … but I digress. My aunt and uncle have both told me that Daniel and I have a resemblance to Chip and Joanna Gaines. Talk about COMPLIMENT! It totally beats being told you resemble Napoleon and Deb. I briefly considered us going as Chip and Joanna for Halloween, but we would just be dressing in normal clothes so I’m not sure it would really have that much “costume” appeal. If you want to get a little bit of Magnolia Market right here in Columbia, South Carolina, check out this substitution. It would definitely provide a fun rustic tone to your kitchen counter, for about $110 less. I have long been an admittedly frequent blog reader. Last night, as we sat at Swamp Cabbage, the brewers asked me how I knew so much random information and that was my answer. I read. A lot. And sometimes, most of the times, it happens in the middle of the night. I also like a lot of pictures. I think you can get the best ideas from others. There are so many talented people all around us. Speaking of that, I’ve been seeing a lot of yarn art lately. I want to call it “yart” but that tends to refer to “yard art”, so I will refrain. Emily Henderson has an amazing string art piece in her home. The colors are just incredible. I really want to paint something with that color scheme. Nate Berkus has a piece of fringed wall art for sale at Target now, too. Now I’m wondering if it would be possible to make one myself. I feel like I would have to have some type of wiring in the back to tie the yarn or string to. It wouldn’t have the flow and delicacy of Emily Henderson’s but it would add some texture and funk to a room. What do you think? 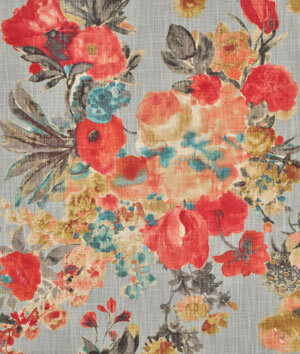 Do we love this fabric for the seat of my antique rocker? Every now and then (and probably more often than I’d like to admit) I find myself inspired and itching for a project. It’s a good thing I have a lot of them laying around. I have a few paintings I need to finish up (but the end is definitely in sight on) and then it’s on. But, before I am able to start work on some of my other pieces … I need to have a vision. I have a pie safe. It looks very similar to the one below, but needs a little tlc. For one, it’s missing the entire back side. Some family friends purchased a beach house last year and this was there when they went to move in. I scooped it up before anyone else could revel in it’s awesomeness and have had it lying in wait ever since. While I am quick to attack with a paint brush, I’d like to restore this back to it’s natural beauty. Do I need to refinish the entire piece to do so? I’m not really sure about that. Rustic is kind of my thing, but with a back piece needing to be replaced entirely I wonder if that will make me change my mind on that. Or if that even matters considering it’s the back side. 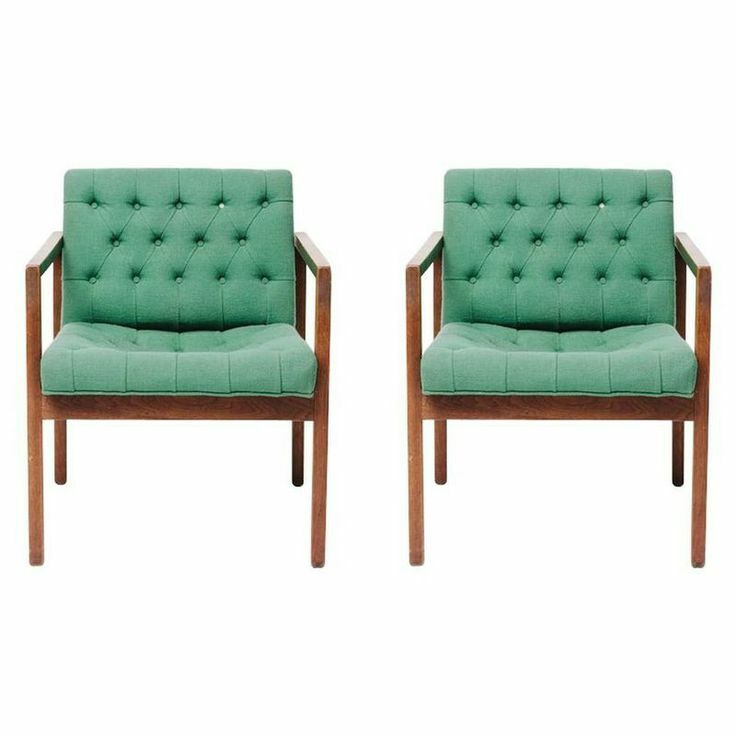 I also have a chair that was an old piece of office furniture, very similar to the chairs below except that my chair cushion is one big piece rather than two and there is no tufting. I really like the lines on it … it’s sleek. I think it’s an old Danish style. I had initially thought about painting the wood on it until D checked it out and pointed out the mortise and tenon joints. I’d like to keep those visible, and the wood is in pretty great shape itself. Should I do something simple with the upholstery? I really wish I could figure out how to do it myself. I’ve had a sewing machine for years … and I have the time to play around with it right now. But why do sewing machines always throw me for a whirl? It’s the one crafty thing I can’t seem to take ownership of. On to the upholstery, I was thinking something fun for this piece, but not dated. I have a hard time picking out fabric. I’m like a kid in a candy store. I just love color and designs so much, I never know quite where to focus. I found this one, which I think would look really good with the natural wood and work in different rooms well. I like the colors and I think they would be extremely workable. 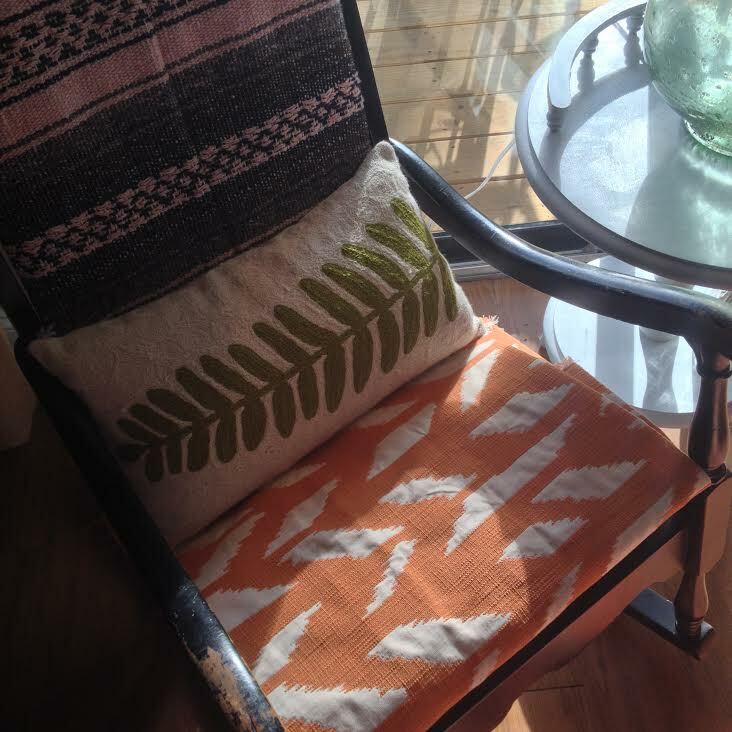 It also doesn’t scream too much ikat, at least not to me. Or, if I went solid, something colorful like this, which resembles the above combination. I also really like this bright green. Plus, D’s couch is screaming for some love one day. 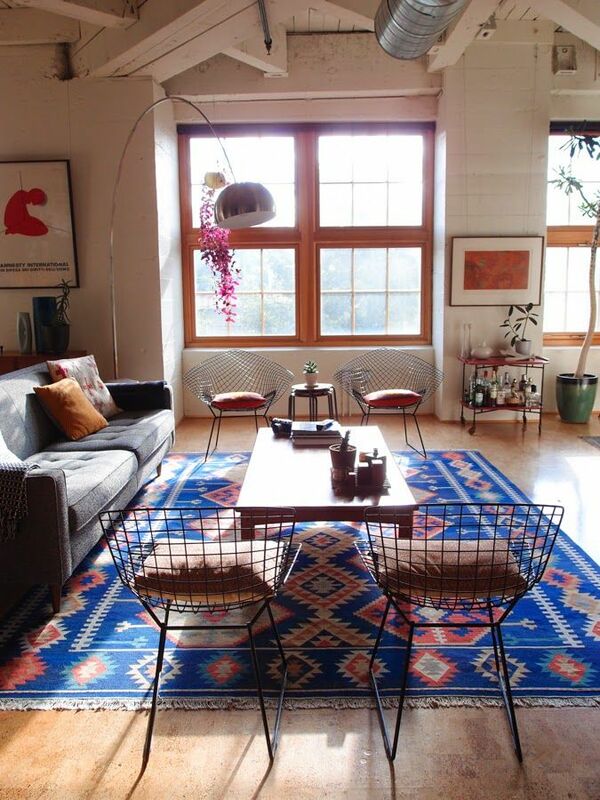 Although I do love the look of this Anthropologie one. 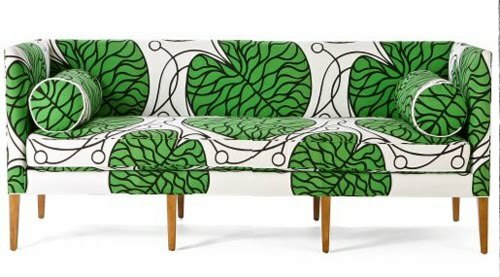 Where would one find fabric like that? Speaking of couches, I think I’ve settled on a grey linen blend upholstery for my parlor couch. No, I haven’t found it yet. I’ll need about 12 yards of fabric for it. I think I’ll take the tufts out of it permanently with the hopes that it’ll make it slightly more comfortable and functional. 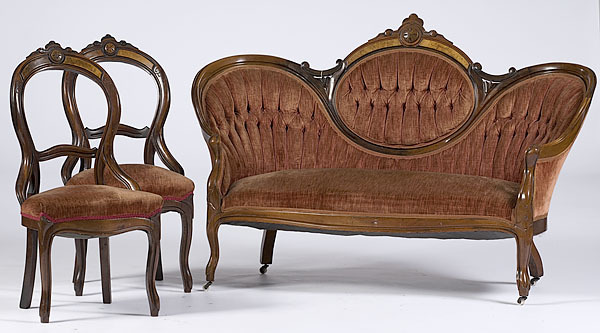 It is similar to this and has matching tufted chairs, which I don’t have at my place at the moment. It’s too bad I couldn’t find a cool killim inspired fabric for it. But I think it would eventually date it too much, especially with it’s particular style. I think that fabric is hard to find unless you’re Anthropologie. That’s a lot for now. I need to find a friend to tackle all of these with while D finishes flipping the house he’s working on right now. In the meantime I’ll just pepper him with questions. if i ever have a house. With a bathroom painted black, with white and grey and brass fixtures, too. I want a bedroom that’s cozy. And for there to be a bright and welcoming front door. And surely much, much more. Saturday I finally made the trip out to Southeastern Salvage and bought myself a new couch. I love it so much and can’t wait to break it in and have some Californication marathons while curled up on it. I mean, ain’t she a beauty? I also finally put out my new Ikea pillows I purchased on a trip up there a couple of weeks ago. I am loving the contrast right now. Lately, I’ve been having a problem with my wish to go completely neutral at times conflicting with my love of color. I bounce back and forth constantly. 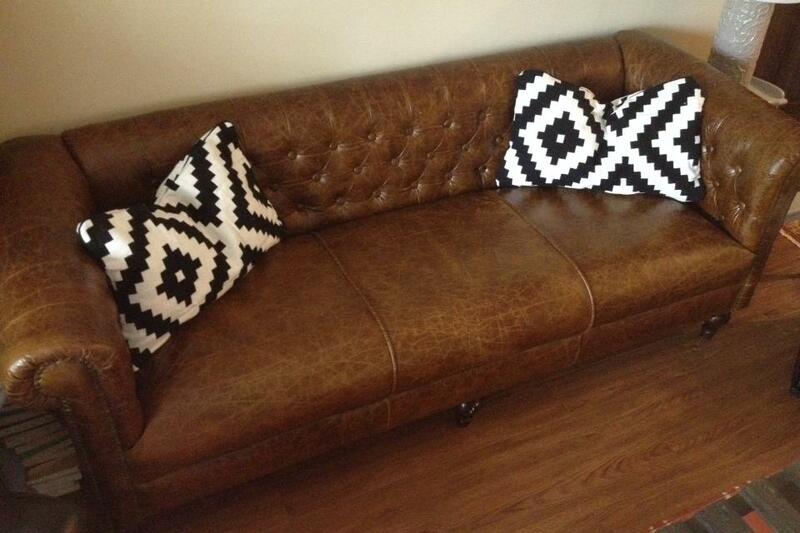 That said, I have some ideas for how I want to style the couch and around it, but I’m not sure how to execute them. 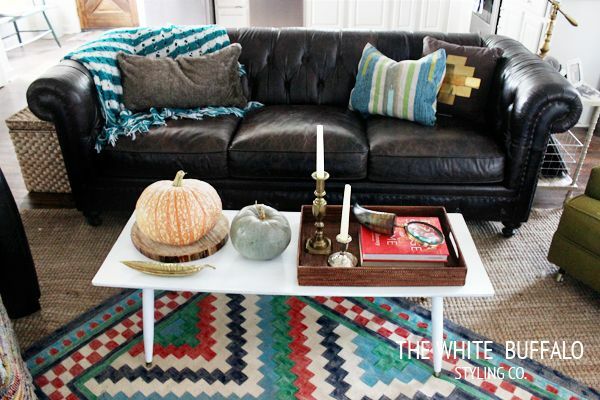 I have a bright coral-orange Pottery Barn rug in front of it that sheds like crazy after 2 years. (I thought it would stop eventually!) 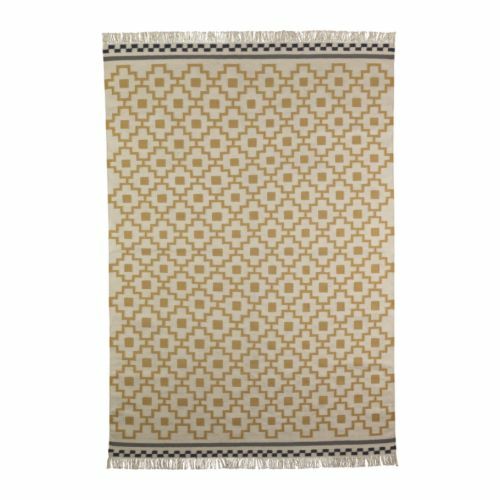 I’ve toyed around with getting a new rug and really fell in love with this one recently at Ikea. And this pop of blue! Who would have thought? And speaking of color color color, who doesn’t love the traditional look of a red oriental? Now I just need to find one at a good price. Then again, the Moroccan-Style look is pretty awesome. And understated. See all my dilemmas? In the meantime, I’ll just keep playing around with what I have and hoping something will strike.